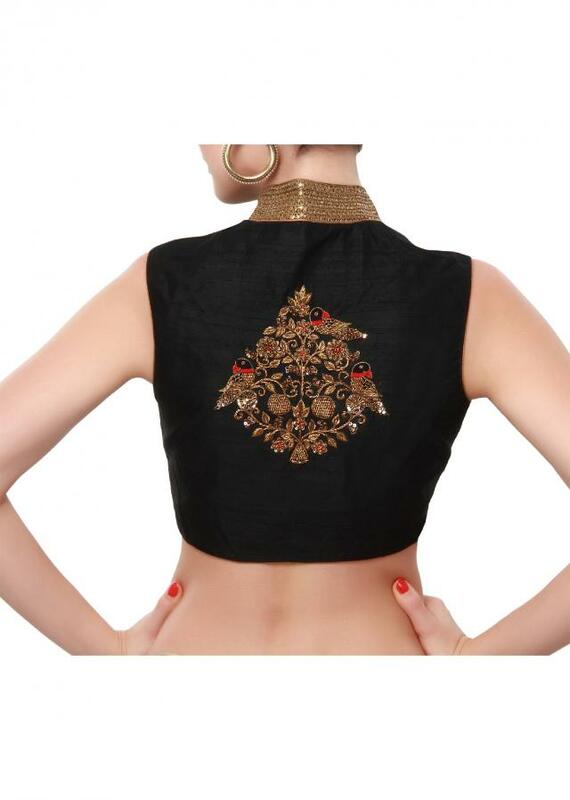 Black overlap blouse featuring in raw silk. 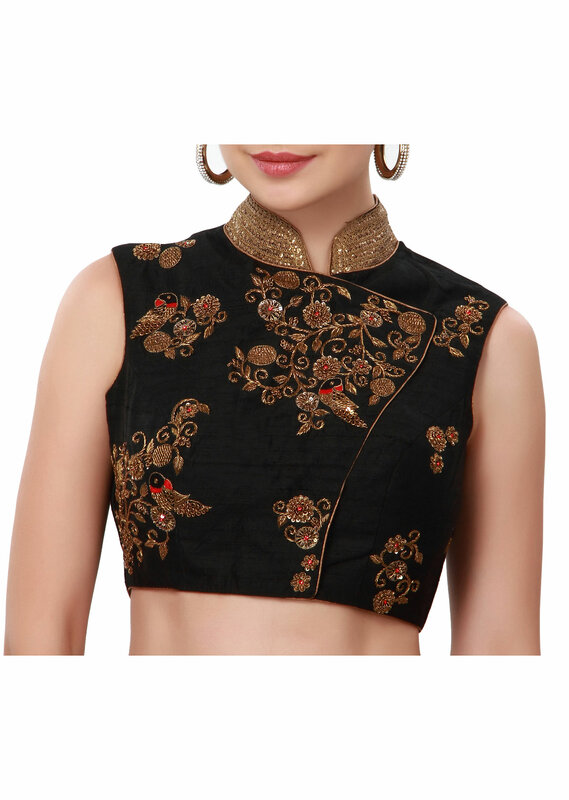 Its embellished in zardosi embroidery in bird motif. It has a front opening.